- Training of researchers and consultants for the adoption of NetSyMoD and mDSS in research or applied projects. Training material and course organisation and outline are designed to range from a few hours to several days depending on the specific purpose. 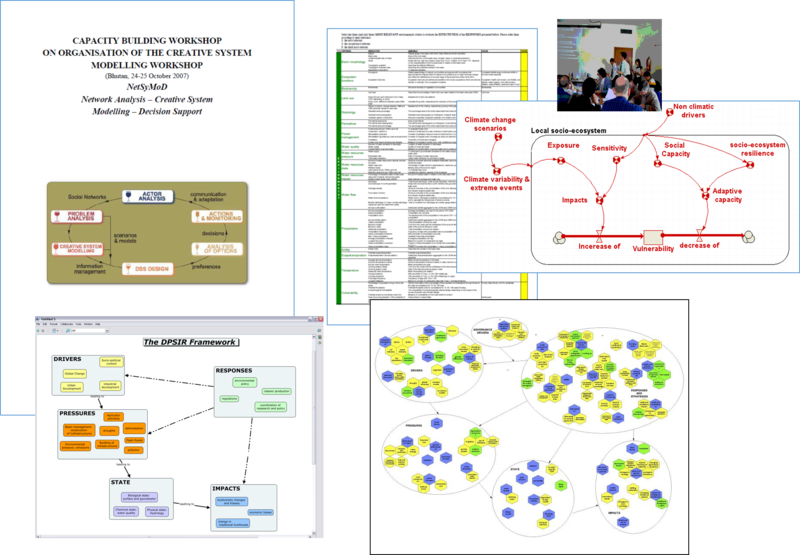 The materials are continuosly updated to maintain the syncronisation between the documentation and the methods and tools, and to adapt them to diverse needs in terms of training and capacity building.